What to get the wine or beer lover in your life that has everything? An ely gift card of course! Joking aside, we’ve got some awesome quick and easy DIY gift ideas you can make at home. While we’ve been blessed with sunshine recently, we’ve highlighted a few of the things to do in Dublin when it rains (which it still does, quite a bit). This week’s tips, tipples and table talk also looks at the, now controversial, Poolbeg chimneys of Dublin’s skyline and we get a little bit cheesy with our how-to-guide to serving the perfect cheeseboard. Good aul Irish summers eyh? While the weather has been relatively good of late, us Dubliners have certainly noticed the humidity in the air and with that, the heavy rainfall. When it rains it pours and yes, while we would always advise popping into any of our 3 ely venues, hiding out from the rain and letting us pour you a little glass of wine or craft beer, if you find yourself as a visitor to Dublin during one of these spells or just feel like enjoying your city, don’t worry. We’ve compiled a short list of awesome things to do in Dublin, come hail or high water! Visit the Little Museum of Dublin. Right in the heart of the city, this little museum is a must visit. Located on 15 St. Stephen’s Green, Dublin 2, the Little Museum of Dublin embraces and collects the fun, cute and quirky things that make this fair city brilliant. Super knowledgeable and always eager to know more, their guides tell you true Dubliner stories in a fun and informal manner. Visit the Science Gallery. With some really cool exhibitions, this is no nerdy spot! Continuously changing, challenging and altering our perception of the normal, this interactive attraction in Trinity College is always fun. The Science Gallery offers events, talks, debates and workshops, giving guests a chance to get involved. Go vintage clothes shopping. Dublin’s vintage clothing selection is always getting bigger and better and what a good way to spend a rainy day by getting lost in the days of old. 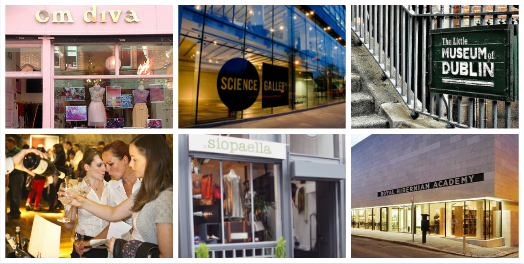 Siopaella in Temple Bar, Om Diva on Drury Street and The Harlequin, 13 Castle Market are all close enough to land yourselves triple the amount of bargains in just one trip to the city. Visit the RHA Gallery. The 184th Annual exhibition runs at the RHA on Ely Place until the 17th August so plenty of time to check out some of the works at Ireland’s largest open submission exhibition. With 567 works by 354 artists, a trip to this fantastic gallery is an ideal way to while away a rainy afternoon. Relax and unwine-d at an ely wine tasting. Good company combined with wine, food and fun at an ely wine tasting is a nice relaxed yet educational way to spend a rainy evening. Held every fortnight, each with a different theme, the full list of upcoming ely wine tasting evenings can be found here. Cheese is perfect for a formal dinner party or equally, for a casual night in with friends, and needs very little preparation. When you’re putting together a cheeseboard, try to buy where you can taste; your eyes will never tell you as much as your taste buds will. The general idea is to serve a selection of cheeses which will offer you and your guests contrasting flavours and textures. If possible, a sheep’s or goat’s milk cheese. But remember, it’s better to have one ripe and gorgeous cheese than five mediocre pieces. After you buy your cheese, be sure to look after it. Cheese is a living, breathing food and needs to be treated with some care to get the best from it. This is particularly true of the softer cheeses. Cheese should always be served at room temperature because serving it cold substantially inhibits the flavour. Fridges aren’t as bad for cheese as they are sometimes made out to be. The main problem is their dry atmosphere rather than the cold temperature. If you do store your cheese in the fridge, always remove it several hours before serving and make sure your cheese is well wrapped in a breathable covering eg. wax paper. There are no set rules for the serving time of your cheeses; some people like to have their cheese before dessert and others prefer it after, or instead of, dessert. It’s always good to serve something with the cheese which acts against any richness and clean the palate between cheeses. Fruit is really good for this or if you don’t have any to hand, serving with a chutney or fruit jelly will do. 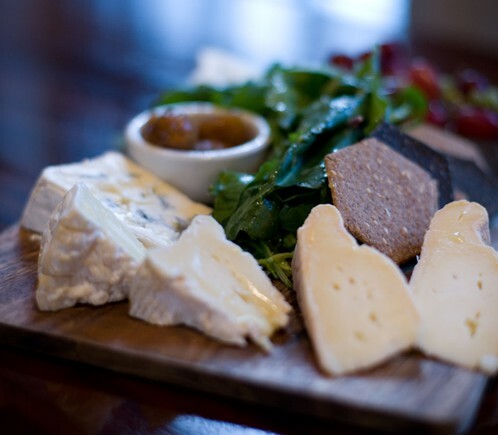 Enjoy a great glass of wine and a cheeseboard, at ely wine bar. Do you ever struggle with what gift to get the beer or wine lover in your life? They’ve already got a whole shelf of Riedel, Tipperary or Waterford Crystal wine glasses. The over sized German beer-stein glass has had its fun. When that occasion does come around, this time why not make something yourself? Step one, drink wine and craft beer. Not a problem? We thought so. Step two, keep and collect all the bottle caps and corks. We are trying it keep it low cost though, so another idea is to get down to any of the three ely venues (or another good bar) who would be more than happy to give you their excess bottle caps after a night’s shift. Wine corks might be that little bit more difficult to source, but a good wine bar should have a few in stock, otherwise you can buy corks in bulk for relatively low cost online. You’d be surprised by what you can make – everything from coasters and posters to magnets, picture frames and trays. 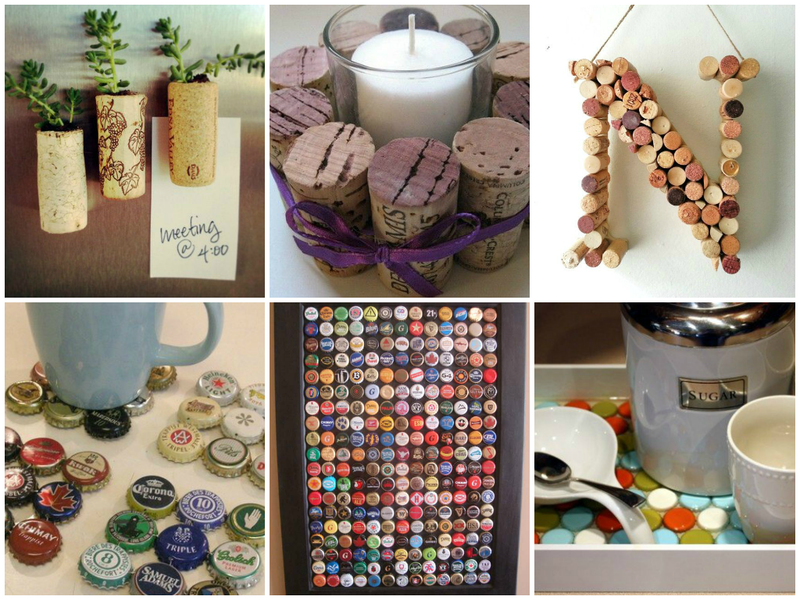 See how to make bottle cap gifts here and wine cork gifts here. 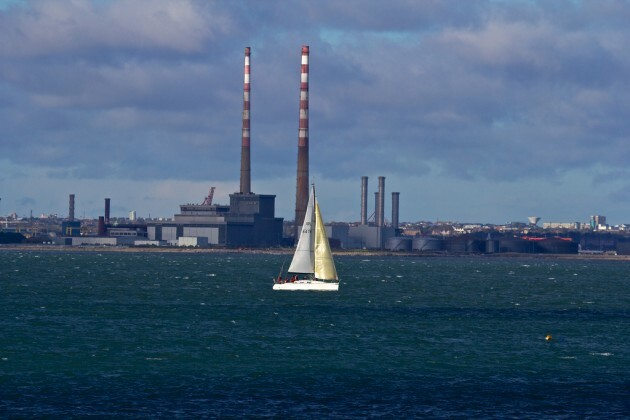 Table Talk of the Week: The Poolbeg Chimneys – Should They Stay or Should They Go? The suggestion from ESB that the resources needed to maintain the unused Poolbeg Chimneys could be better spent elsewhere caused some controversy among Dubliners this week. The red and white towers have stood at the Poolbeg area of Dublin Bay since the 1970s and have raised the demand that these chimneys be protected. With many, both domestic and foreign, voices saying that they are an iconic part of the Dublin skyline, others argue that the towers are an “eye sore”, agreeing that the resources to keep them there could indeed be better spent elsewhere. This is a topic that pretty much all Dubliners will have an opinion on, there is no smoke without fire (as they say), and no doubt will be very keen to share it. At ely, we love them – those red and white striped chimneys are one of the few genuine icons of the Dublin skyline. They are the first thing you see of Dublin when you fly home, or the last bit of Dublin you see before you leave. They are like two ever-present sentries standing guard over our city. Where some might see ugly, we see a certain “industrial charm”. ESB say that a decision would be made on the future of the Poolbeg chimneys by the end of this year . Demolition is among the options being considered. See a collection of images, memories and feelings about Poolbeg chimneys via thejournal.ie here.